Sarah Thwaites – Lyrically evocative paintings of landscape and place, beautifully observed and rich in complexity and contrast. Her second solo show at The Art Shop. Sarah Thwaites has lived and worked near Abergavenny for the past 18 years. Born in London in 1959, she studied at Wimbledon School of Art and Goldsmith’s College. 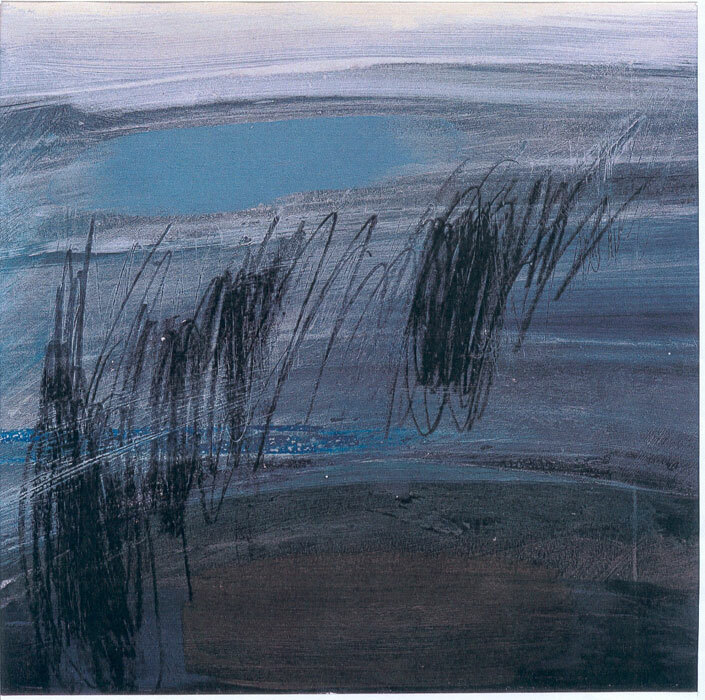 Her work has been exhibited widely in Wales, in both group and solo shows. 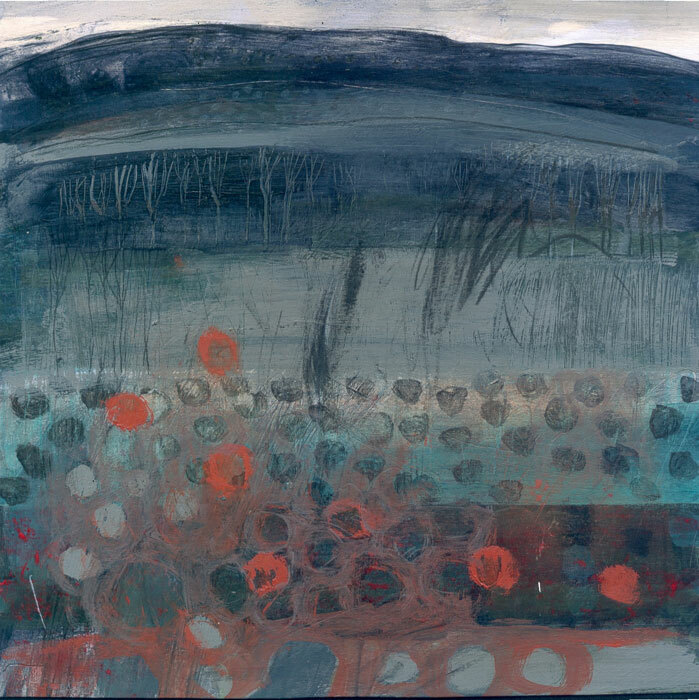 In recent years she has shown regularly at the Welsh Artist of the Year show at St. David’s Hall, Cardiff and her work was selected to be part of the touring exhibition in Stuttgart. 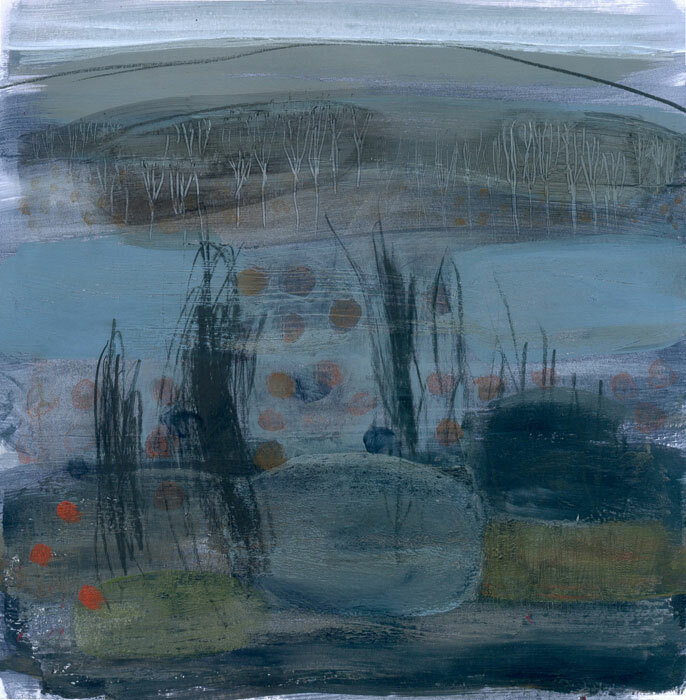 Sarah Thwaites’ latest body of work is inspired by an emotional response to the local landscape that, she says, over time has seeped into her consciousness through the daily business of living and working within it. Photographs and notes, taken in situ, may serve as literal prompts but it is back in her studio, working from memory and the imagination, where she feels she can best distil and recreate the essence of the place. These are atmospheric paintings of complexity and contrast. 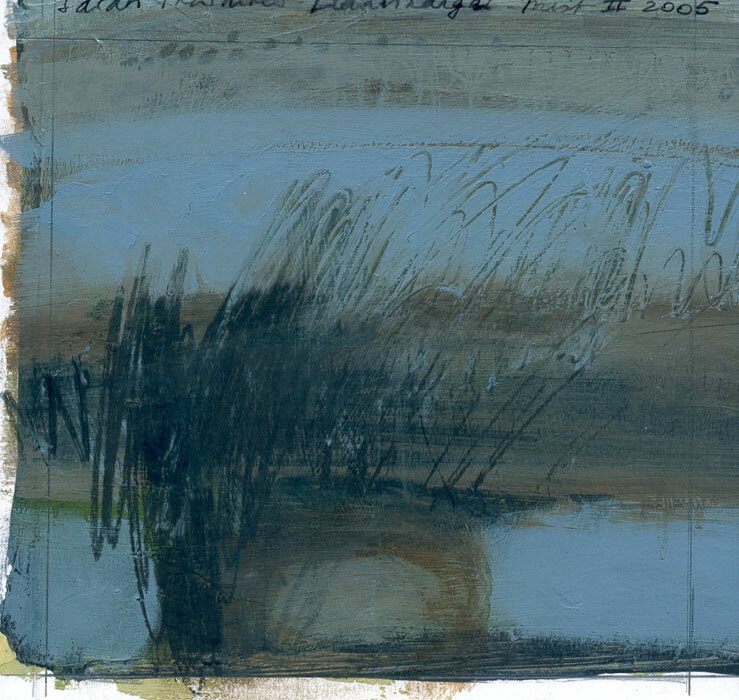 Successive layers of acrylic paint and crayon are built up, scored and rubbed away to create a deep and multi-textured background, against which her bold and energetic marks emerge as scratched and distinctive outlines of winter hedges, long grasses and reeds.